Modern Murphy beds have evolved into something far more comfortable, stylish and customizable than their early 20th century ancestors. In this week’s blog post, we’ll look at some of the things you need to know about adding a wall bed to your home. I live in a home with plenty of bedrooms. 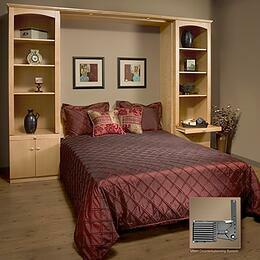 Why should I install a Murphy bed? It allows you to turn virtually any room in your Bucks County, PA home into a guest room. If you already have a guest room, replacing its bed with a wall bed gives you more options for that space. It can be your home office or craft room 95 percent of the time, and turn into a guest room during the remaining five percent just by unfolding the bed. For parents with children sharing a room, installing a Murphy bed will give the kids more room to play, do homework, get dressed, etc. And because Murphy beds can be designed to include shelves and cabinets when they aren’t in use, you’ll find yourself with a lot more storage space. 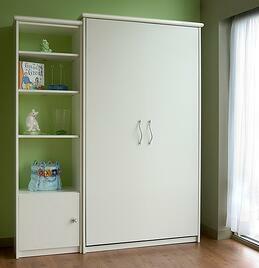 What will Murphy bed installation cost? It depends on a lot of different factors, including the size of the bed, who you hire to do the installation and whether the bed will have shelving or cabinets. Prices can range from $800 to $1,200 for basic units, and upwards of $15,000 for a full blown, motorized or sofa Murphy bed. When you add a Murphy bed to one of your rooms, you’ll need about five or six feet of floor space for when the bed is pulled down. You’ll also need 16" - 20" from the wall - for the cabinet depth. This is where the bed will be housed when using a thicker mattress. Will a wall bed affect the resale value of my home? Roberts compared a wall bed to having a wall-mounted TV bracket. Some buyers might be happy to have it, others not. The good news is that if you’ve become attached to your Murphy bed, you can hire someone to remove it and reinstall it in your new home. 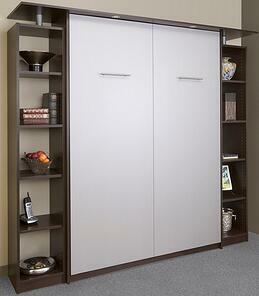 Experts advise leaving Murphy bed installation to professionals. It’s not really a do-it-yourself job, and you’ll need an installer and designer who know how to meld custom cabinetry with furniture. At Closets & Cabinetry in Harleysville, PA - we pride ourselves on being just that kind of installation and design service. We offer twin, full and queen size wall beds, and make sure that everything we install looks and feels like a custom-designed bedroom set. Contact us today to schedule a free consultation. We look forward to giving you and your loved ones added space and a better night’s sleep.